Offering both independent living and assisted living services, Feridean Commons was equipped with an emergency call system that could be triggered only by pull cords anchored on the walls of the facility. Not long after implementation, the system failed to offer the added value the community desired to provide their residents. Feridean Commons was interested in technology that could improve staff efficiency and communication, while enabling mobility for their residents. Most importantly, Feridean Commons wanted to and ensure the safety of their residents, while keeping them engaged and connected with their community by extending amenities such as self-service. Additionally, Feridean was looking for a single source partner to help with all of their technology decisions to help them grow and innovate as a community. Feridean Commons chose to partner with Status Solutions, and install the Situational Awareness and Response Assistant (SARA) system. The SARA system allowed Feridean Commons to improve their antiquated emergency call system by enabling alerts to be sent using everyday technologies such as phones, computers and cell phones. Following the SARA system deployment, Feridean Commons implemented CATIE (Communication and Access to Information Everywhere), an alwayson, in-room communication and self-service application. CATIE helped Feridean Commons to improve communication, workflow and overall service in order to transform the resident experience. CATIE has introduced a new and efficient way to keep residents informed of community happenings, while keeping staff informed of residents needs on a daily basis. Prior to the installation, many of the day-to-day operations at Feridean Commons were done manually. CATIE gives residents the ability to access information and request services at their fingertips, and then automates those processes to streamline communications to their staff. In addition, CATIE gives residents the ability to access information and request services easily. 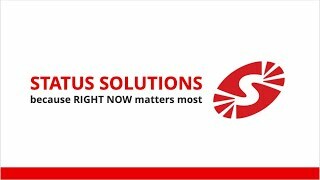 The SARA system is used to integrate disparate alarms and communication systems for centralized monitoring, alerting, and reporting. It is also designed to better leverage existing technology tools that are already in place. In addition to their pull-cord devices, Feridean Commons monitors all of their Tek Tone devices, pendants, doors and bed chair pads. When one of these monitored devices is triggered, on-site staff receives an alert via theirspecified device; Feridean uses iPhones, computers and iPads. In addition, SARA’s Positioning System (SPS) provides staff with location information as part of any alert. 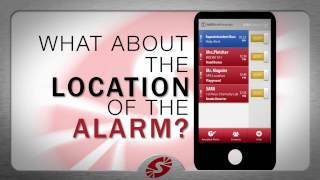 The location data helps staff locate the alarm source more quickly and therefore provide a faster response. SARA’s reporting engine and history capability allows Feridean to pull useful information to help improve resident safety. For example, authorized individuals can review response time reports enabling them to recognize any reoccurring trends. These reports allow directors to take informed action before a problem occurs.